Nationwide Boiler would like to announce Sean McMenamin as the company’s new Director of Environmental Solutions. Sean will be based in Dallas, TX, promoting the CataStak™ SCR system to a market with high demand for emission reduction products due to regulatory requirements. Previously the Vice President of Environmental Systems at Peerless Manufacturing Company, Sean signs on with Nationwide Boiler with thirteen years of experience in SCR’s and air pollution equipment. He also has prior experience with utility steam generators, working at Foster Wheeler for nearly five years. Help Nationwide welcome Sean to the company and view our recent press release to learn more about him and his new position. 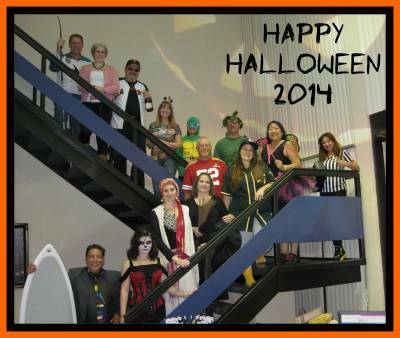 Happy Halloween from Nationwide Boiler! The winter season is just around the corner, and it is a good time to remind our customers about how to properly prepare rental equipment for inclement weather conditions. This not only applies to when a boiler is in operation, but also when a boiler is down or in transport. In addition to heat tracing on stagnant sensing lines, drain the lines and fill them with a 50/50 (water/glycol) solution, making sure to re-connect the line. 5. When an extended boiler down time is expected, completely drain the boiler and stagnant water lines. For extended boiler downtime, drain boiler and stagnant water lines completely. If rental equipment becomes damaged due to freezing weather conditions, the repair or replacement is the responsibility of the lessee. The above are recommendations; however, use sound engineering judgment calls when there are concerns of possible freeze damage to the equipment. For further information, give us a call at 1-800-227-1966. Members of the Council of Industrial Boiler Owners (CIBO), including Nationwide Boiler’s Vice President Larry Day, will be gathering this week in Santa Fe, New Mexico for CIBO’s 36th Annual Meeting. 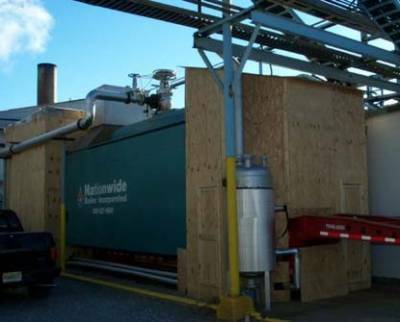 The meeting is held yearly to discuss environmental policy changes in the boiler industry, and the main topic of discussion this year is energy. Networking with the top energy and environmental leaders at CIBO member companies and key outside regulatory, technical and legal experts available to provide up to the minute expertise on the important issues considered. The CIBO annual meeting has brought together members of the industrial boiler industry since 1978 to exchange information relating to energy and environmental practices and policies. CIBO strives to integrate our nation’s energy and environmental policies to attain benefits not just for its members but also for the country. For more information about CIBO, visit www.cibo.org.